This date is also the final day for closing registrations. is supplied for each day of study. These 5 days are graded as Level 1, or Introductory Level, (which means that these students who have completed this 5 day Course, and received their Certificate of Completion, are eligible to study another 5 days graded as Level 2 or Advanced. and involves another 5 days of seminars. 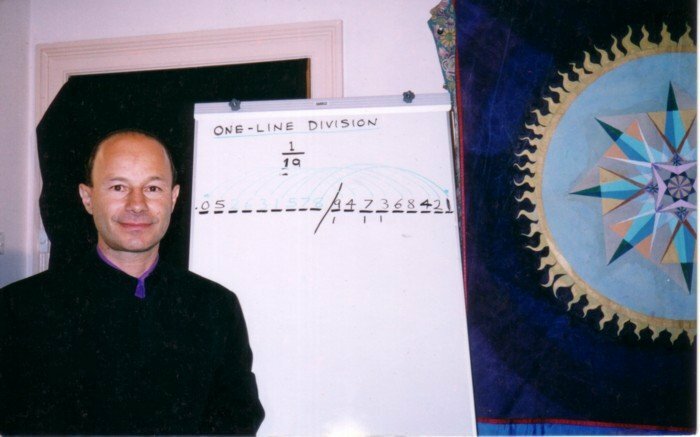 Ultimately, this is a 15 day Seminar Course to become a qualified Jain Mathemagics Sacred Geometry Teacher. This is a great opportunity to start learning this ancient knowledge for yourself, and then passing it on to children you know, and other friends. (The following informations, is optional, and is shown below to give the student insight into the variety and depth of subjects being taught). Pattern revealed in the Fibonacci Sequence.